Leslie Mounaime, Gallery Director of the Target Gallery at the Torpedo Factory Art Center in Alexandria, Virginia. All artists working in any medium are encouraged to submit up to 3 original artworks for consideration to one of the Durham Art Guild’s largest and most impressive exhibitions of the year. Participants must be at least 18 years of age. 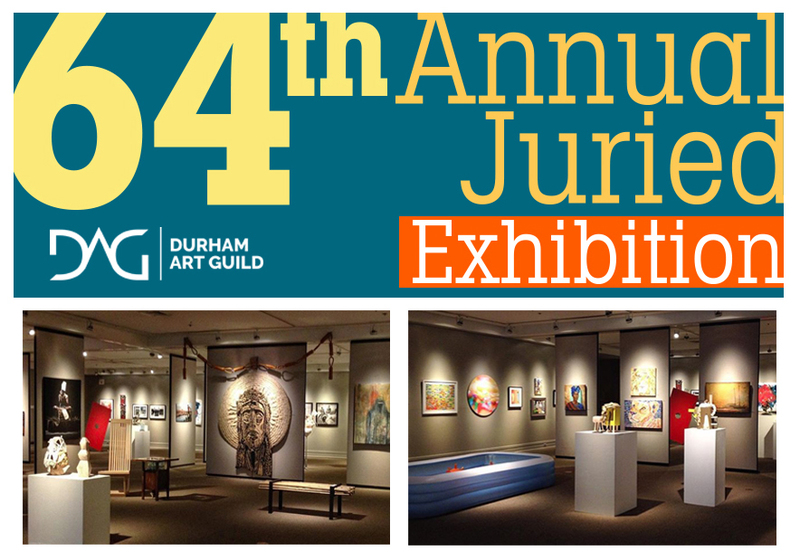 Artists chosen by the juror will be included in a group exhibition of selected artworks at the Durham Art Guild’s SunTrust Gallery and will be considered for all awards including $1,400 in cash prizes. Submission deadline: July 30, 2018 by 11:59 p.m. Delivery of accepted work: August 12 and August 13, 2018 from 1:30 – 3:30 p.m.
Public receptions during Third Friday Durham: August 17 and September 21, 2018 from 6:00 – 8:00 p.m. Pick up of work: October 14 and October 15, 2018 from 1:30 – 3:30 p.m.
1st, 2nd, and 3rd place will be determined by the juror and announced at the juror lecture on a date yet to be determined in SunTrust Gallery. The Peoples’ Choice Award will be determined by exhibition attendees and will be tallied and announced after the close of the exhibition. Awards will be mailed after the close of the exhibition. New: Three additional “Honorable Mention” selections will be made by the juror and those artists will receive a submission fee waiver to submit work for consideration to next year’s 65th Annual Juried Exhibition. DAG member entry fee is $25. Non-member entry fee is $35. The fee is per artist and each artist can submit up to 3 works with their application. *Some scholarship options for submission fees are available. DAG membership is open to all artists and arts enthusiasts (not just Durham residents) so please visit the “Membership” tab on our website to learn more about the additional benefits of DAG membership. The Guild strives to make membership accessible to a broad range of artists and arts enthusiasts by providing discounted student level memberships and membership scholarship options. *If the cost of the application processing fee is a challenge and preventing you from entering this exhibition, please email gallerydirector@durhamartguild.org to discuss scholarship options preferably no less than 24 hrs from the submission deadline. Be sure to download and read the complete call for art with submission instructions and additional information before submitting your work. CLICK HERE. For a direct link to our online submission portal CLICK HERE. If you have further questions about this opportunity contact gallerydirector@durhamartguild.org.